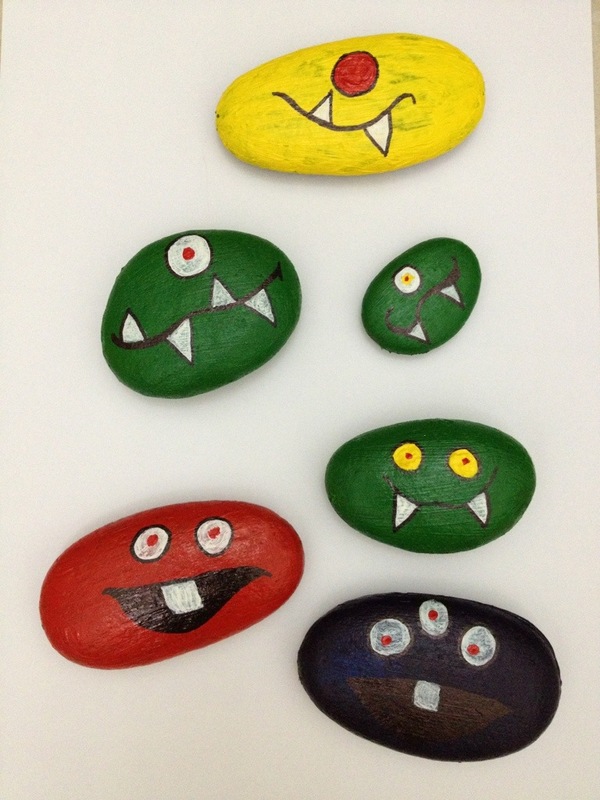 During our Monster Theme, I made these stone monsters for our small world corner. 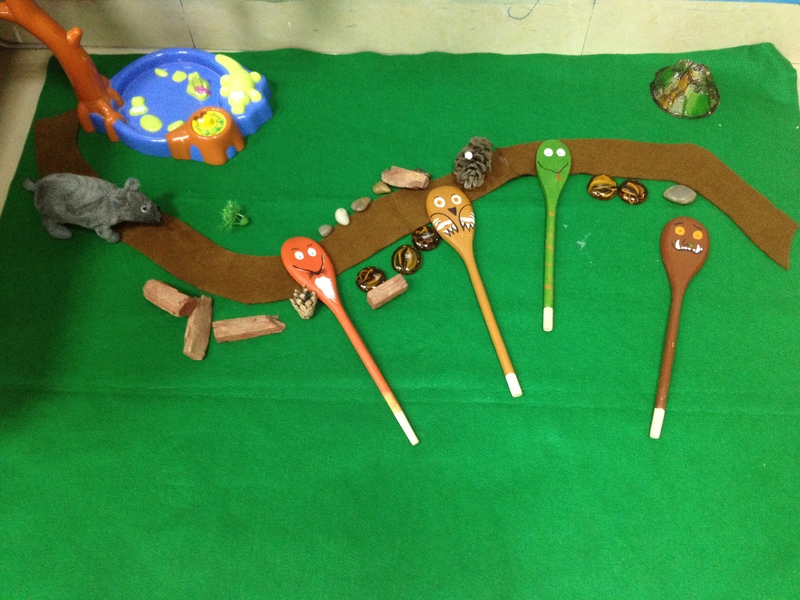 Students enjoyed making stories with these stone monsters. 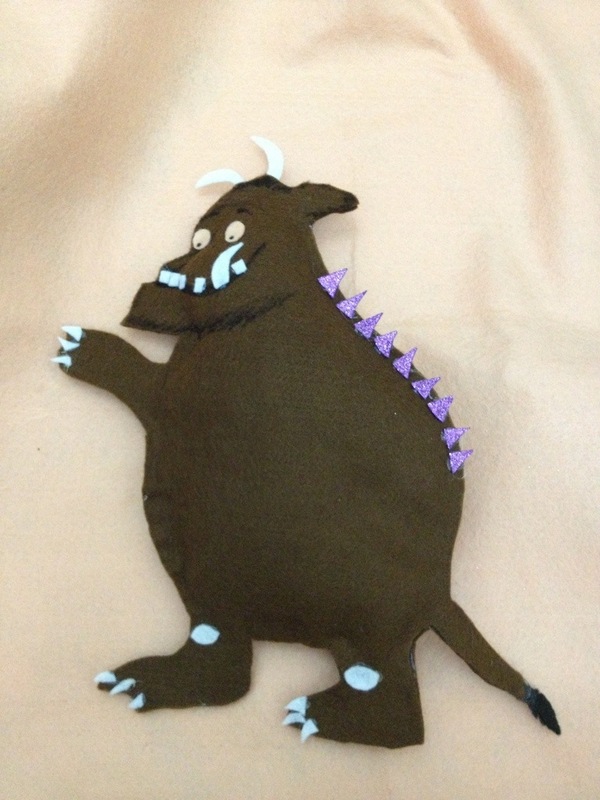 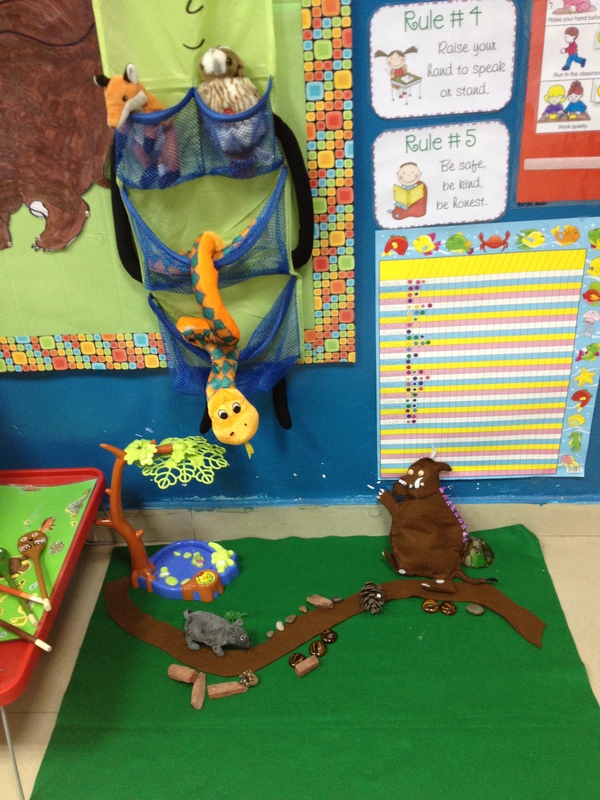 It was fun to make these Gruffalo character puppets. 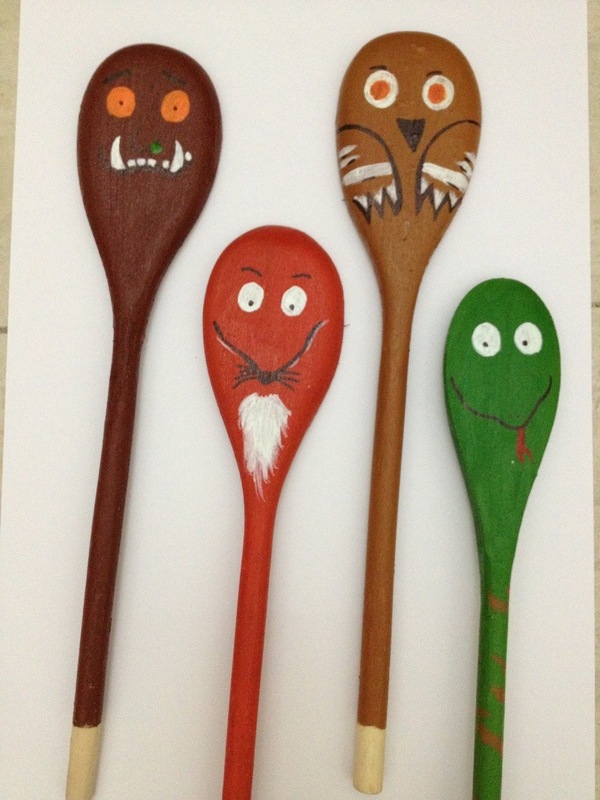 I painted the spoons with acrylic paints and outlined with black marker. 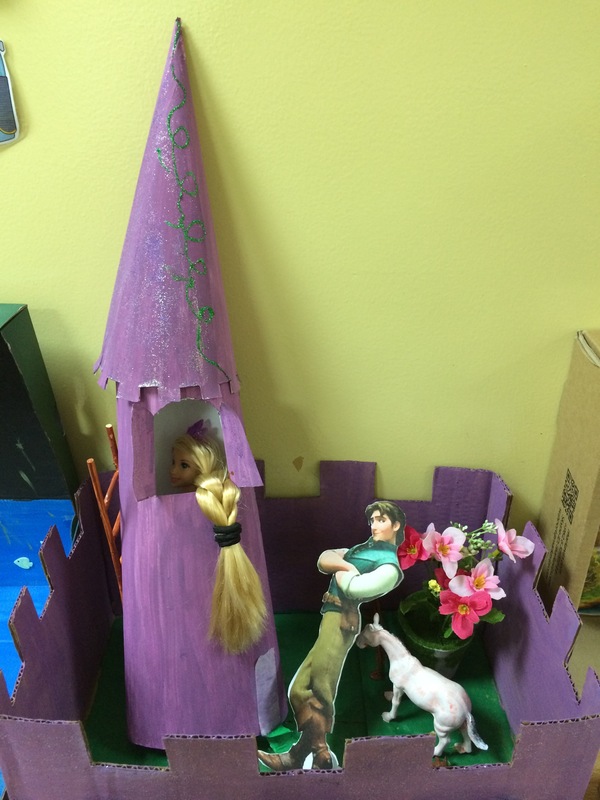 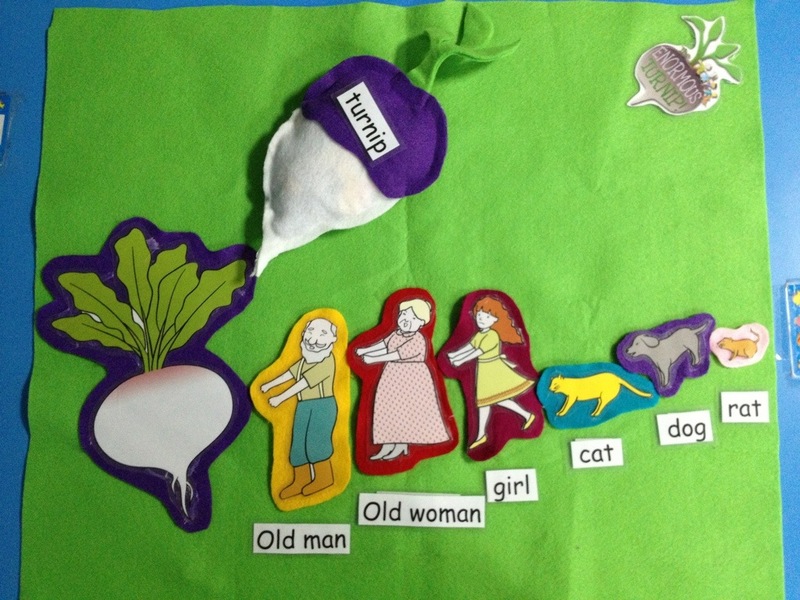 Students used them for retelling the story. 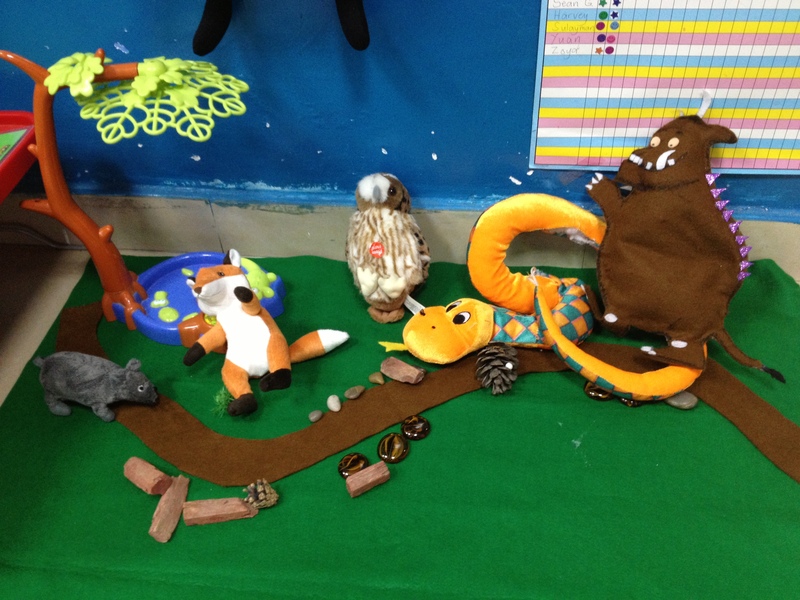 They were a good addition to the Gruffalo story sack.